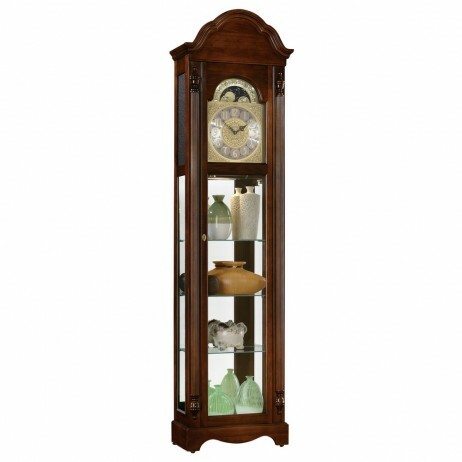 The Ridgeway Clarksburg Traditional Grandfather Clock is one household item which is certain to bring a touch of Early American colonial style to your home. 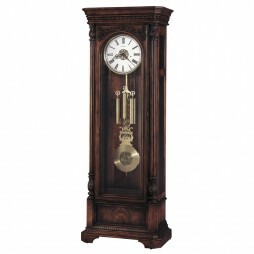 The most noticeable feature of this stylish clock is its brass finished dial with a corner spandrel design, embossed center and raised Roman numerals, against a silver back ground. This household item which has a Country Maple finish also features a solid arched bonnet on its crown, reeded pilasters with top and bottom turned capitals while three adjustable glass shelves have been provided for displaying decorative items. Finished in Country Maple on select hardwoods and veneers. An interior light reflects off of the three adjustable glass shelves and is a perfect display for collectibles. Access to these shelves is made easy with a full length right side glass door. A time only quartz movement uses one AA battery (not included). 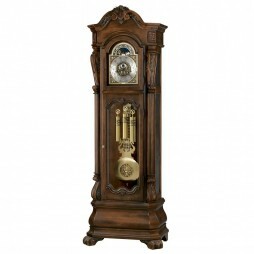 Sporting a classic and simple design, this Howard Miller Trieste Grandfather Clock is versatile and will suit any decor. 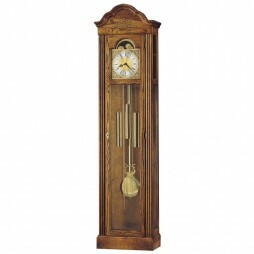 It is an impressive, highly detailed floor clock capturing the style of Southern European traditions. This clock is as attractive from the side as it is from the front. The stepped flat top pediment offers front angled corners with a dentil molding just below the top. The finish is distressed for an aged, old world look. 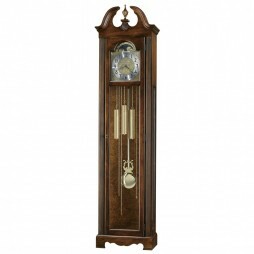 As it is made from quality wood, the clock will last you for many years.